John Calvin ( 1509 -1564) was an French theologian and pastor during the Protestant Reformation who was influential in developing the system of Christian theology which became know as “Calvinism.” A lawyer by training, Calvin broke from the Roman Catholic Church around 1530 and shortly thereafter fled to Basel Switzerland to escape the violent uprising against Protestants in France. In 1536 he published the first edition of his seminal work Institutes of the Christian Religion. In addition to the Institutes, he wrote commentaries on most books of the Bible as well as theological treatises and confessional documents. Calvin was influenced by the Augustinian tradition, and his writing and preaching provided the seeds for the branch of theology that bears his name. The Presbyterian and other Reformed churches look to Calvin as a chief expositor of their belief. Matthew Henry (1662-1714) was born near Wales but spent much of his life in England. Henry began studying law in 1686, but instead of pursuing a career in law he began to preach in his neighborhood. He was privately ordained in London, and on June 2, 1687, he began his regular ministry as non-conformist pastor of a Presbyterian congregation at Chester. He remained in this position for 25 years. Henry’s reputation rests upon his renowned commentary, known as Matthew Henry’s Commentary on the Whole Bible. He lived to complete it only as far as to the end of the Acts, but after his death other like-minded authors prepared the remainder from Henry’s manuscripts. This work was long celebrated as the best English commentary for devotional purposes and the expanded edition was initially published in 1896. Instead of critical exposition, Henry focuses on practical suggestion, and his commentaries contains rich stores of truths. There is also a smaller devotional commentary on the Bible from Henry known as Matthew Henry’s Concise Commentary. The Geneva Bible is the Bible with marginal notes authored by John Calvin, John Knox, Miles Coverdale, and many other leaders of the Reformation. The Geneva Bible was the predominant English translation during the English and Scottish Reformations. The translation is the work of religious leaders exiled from England after the death of King Edward VI in 1553. The 1560 Geneva Bible was the first to have Bible chapters divided into numbered verses. The Cambridge Geneva Bible of 1591 was the edition carried by the Pilgrims when they fled to America. The American theologian Albert Barnes (1798-1870) graduated from Hamilton College, Clinton, New York, in 1820, and from Princeton Theological Seminary in 1823 and was ordained as a Presbyterian minister. He pastored churches in New Jersey and Philadelphia. While he was an eloquent preacher, today his reputation rests chiefly on his expository works. 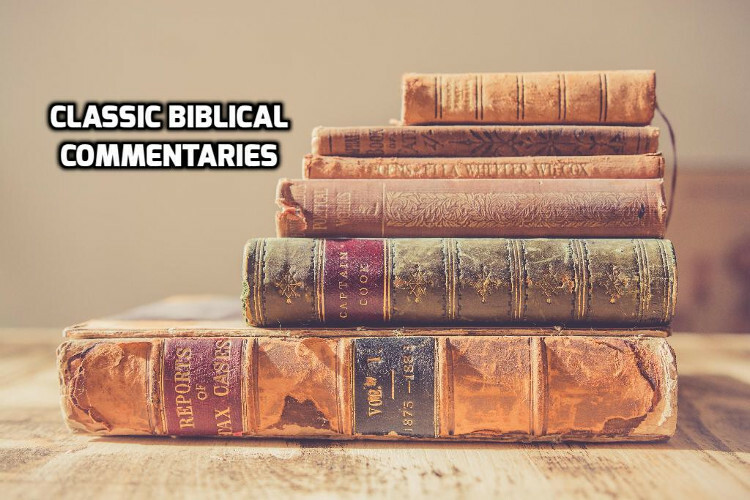 The popularity of his works stems from his ability to simplify biblical criticism so that it was accessible and understandable to the general public.